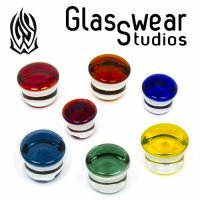 The Glasswear Studios single flare plugs with color fronts are made from Borosillicate glass (Pyrex) and are available in sizes from 12 gauge to 1 1/2". These plugs are hand made and all sizes are approximate. They are great for healing or stretching piercings, as they can easily be autoclaved. They come complete with o-rings to secure the plug in your piercing. All Glasswear Studios products are proudly manufactured in Southern Oregon, USA by American labor. 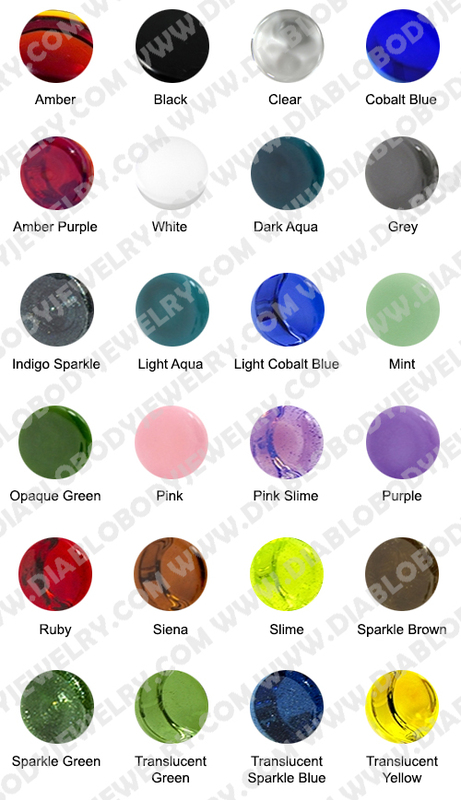 All their jewelry is 100% lead-free, Barium-Free, autoclave-able and computer kiln annealed Borosilicate (aka Pyrex) or Quartz Glass. 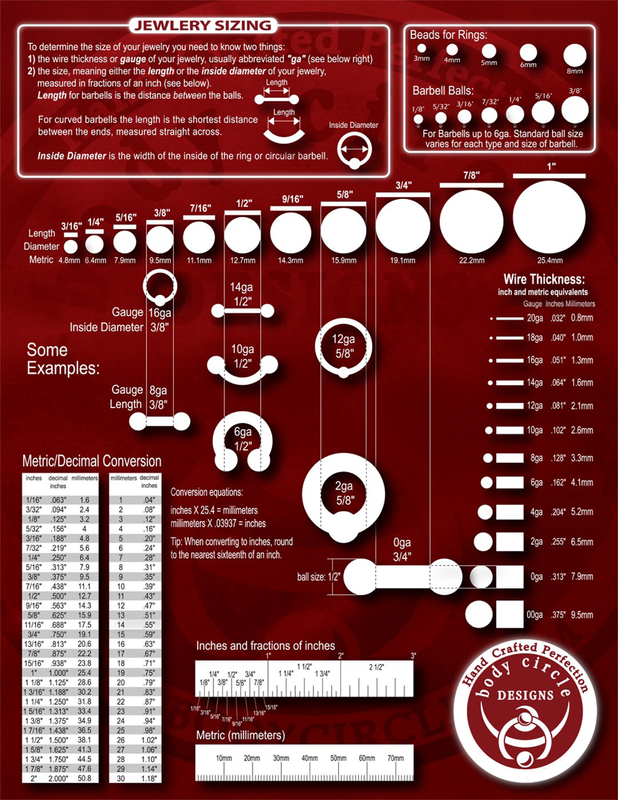 Gauge/Size: 12g to 1 1/2"